Introducing a brand new feature for Sportsnet NOW users! 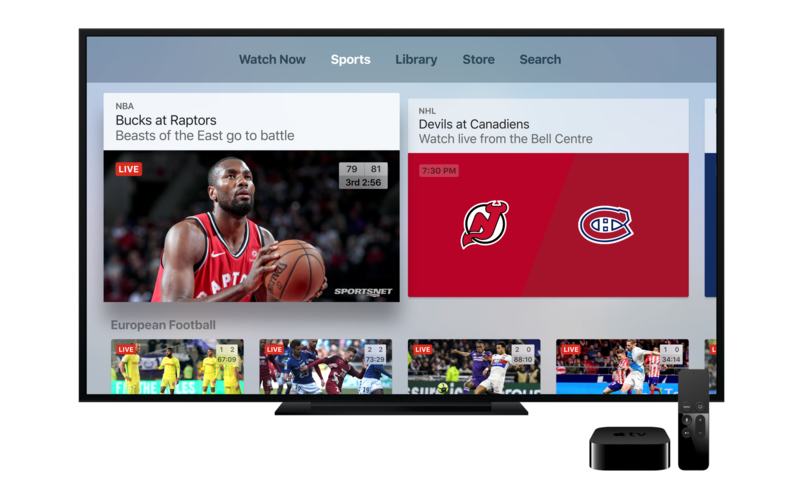 Use the Apple TV App on your iPhone, iPad or Apple TV and sign in with your Sportsnet NOW credentials. From there, Apple TV App makes it easy for you to add your pick of games to Up Next and receive notifications on your Apple devices when your team is playing—or when action is heating up with a close score. Siri can provide the assist: tune in to a game just by saying, “Hey Siri, play the Blue Jays game,” and more! Apple TV App is found on every iPhone, iPad with iOS 11 and Apple TV 4th generation and newer. It also seamlessly integrates all of your other subscriptions into one place, allowing you to navigate through them all in a single experience.